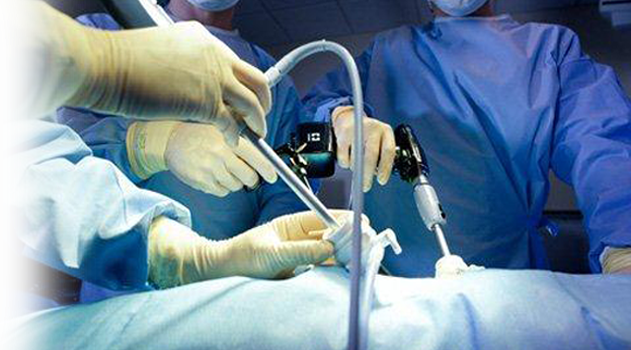 Laparoscopic surgery is also called minimally invasive surgery. Previous operations were performed using only an open approach that would consist of making a long incision varying between 4 to 8 inches to perform the specific operation. When a surgeon performs an operation laparoscopically he or she will make six to eight small incisions 2 inches or less. The smaller incisions require special long instruments. 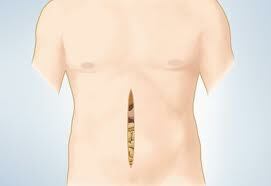 These incisions will have a device called a trocar inserted into each of the small incisions. The trocars have a sealed port opening where the long instruments can be inserted to hold or manipulate the tissue or organs during the operation. A fiber optic camera with a cold light source is inserted through one of the trocars so the surgeon is able to visualize the operation. The abdomen is inflated with carbon dioxide (CO2) gas to elevate the abdominal wall so the patient’s organs can be clearly observed. Carbon Dioxide is common to the human body so it is able to be readily absorbed by tissue and removed naturally by the body. Advantages for the patient are smaller incisions, less healing time, less pain and a faster recovery period. There is always the risk that the surgery can change to an open procedure if there is difficulty or the safety of the patient is in question.